If you’ve been to a WordCamp, it’s hard to miss the brightly colored shirts of the WordCamp staff as they scurry around the event. 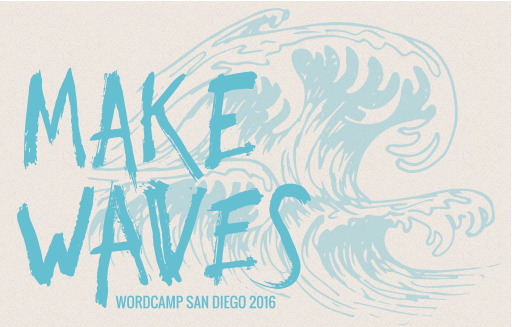 This year, I volunteered to wear a lovely shade of blue at WordCamp San Diego. Previously, I had volunteered to be a presenter. The first question I asked the WordCamp organizers was related to the type of projector that would be used. The next thing I knew, my volunteer role had been assigned, “Video TBD”. Not knowing much about using a video camera, or editing for that matter, I figured, “how hard could it be…” Well, I learned a few things along the way. This article includes tips for WordCamp speakers and WordCamp.tv videographers. My experience volunteering for WordCamp started with the Sponsor/Speaker/Volunteer dinner the night before the event. Lots of familiar faces, free beer, and Tacos – nicely done. Because I had volunteered to help set up the cameras, I left the party early. Five AM wakeup is just way too early for a San Diegan. Bright eyed and bushy something, I arrived at NTC at Liberty Station. The main building was easy to find and with few cars on the street at O-dark thirty that AM, I parked front and center of the main building. Joel Williams, my contact and an organizer of the event, was unboxing the usual WordCamp paraphernalia: hats, colored WordPress buttons, T-shirts, et al. Upon seeing me, he smartly pointed out, “And here are the cameras.” The hard tactical looking cases were piled off in the corner. Like a 5-year-old at Christmas, I began popping the buckles on all of the boxes and inspecting the treasures inside each kit. 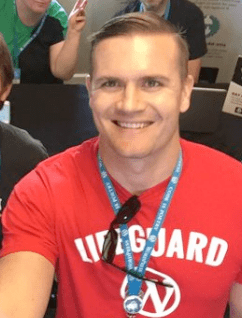 At about the same time, a couple of the bright red-shirts walked past with remarks like, “They got you doing that…” and “Oh, I’m sure glad they found someone to…” with their words trailing off in the bustle of the setup floor. I didn’t think much of it at the time. I mean, how hard could it be. After a while, the other guys arrived. The three of us “camera people” huddled up, began opening bags and pushing buttons. I imagine we probably looked like a bunch of guys who just found some alien artifacts in a cave. Our saving grace were the “What’s in the box” guides provided with each camera kit. So after reading those aloud, we geared up, then set out to our respective track locations (Designer track in the Chapel, Development track in the McMillan room, and Plugin track in Gallery 17). I was given the main presentation hall (the Development track). After some back and forth with the electrical and media folks who were laying out microphone cables, testing the soundboard and the like, I found what I thought would be the perfect tripod location and set ‘er up. So there I was, never having set up a video camera for anything other than my brothers birthday party about 10 years ago and never using a video camera like this one before – I had 20 minutes to figure it out. About five or so minutes before Chris Lema gave his “Welcome to WordCamp” presentation, my buddy Devin Walker a red-shirt, and veteran of the San Diego WordCamp scene gave me a few pointers on when to signal the speakers to close out their presentations and when to begin asking questions. “Oh” I asked with a bit of trepidation, “I need to give the speakers a five-minute warning as well?” The event started. I pushed the record button and did my best to keep the camera in focus. What I found most challenging during the speaker presentations was keeping a time sheet. The speakers often started either slightly before or after the scheduled time, forcing me to scribble the start time on a crumpled piece of scratch paper I’d found on the floor, do the math, adding 25 minutes to the start time, then remind myself to periodically check the time in order to alert the speaker at the 25 minute mark. Regrettably, I don’t recall hearing much of what the speakers were saying because I was either looking at my watch every few minutes or adjusting the camera. Each of the presentations seemed like a blur in time. Later that first day, Joel was nice enough to give me a break, so I managed to squeeze in some time to wander the sponsor floor and chat up the locals. All in all the vibe for the San Diego WordCamp seemed fairly tame, like clockwork for the most part. It was apparent the WordCamp organizers had learned from the prior events I’d been too. And the after party was just hours away. Having really enjoyed the prior parties, I was looking forward to hanging out with a few of my buds and geeking out over drinks and WordPress trivia. Sadly, that didn’t happen. The end of my first day ended with a mild surprise. I had my PowerBook with me, so thought it would be cool to hear how the sound turned out in the videos. I was fairly sure the camera sound would be mediocre at best. Just before the first presentation it became clear that micing the speakers wasn’t going to happen. Chris Lema had already set the stage for a fast-paced speaker rotation, with only minutes between speakers. And with a fuzzy memory of how badly the video camera’s microphone sounded at my brothers birthday party years before, I felt I needed to put my MacGyver cap on and figure something out. So with minutes left before the speaker arrived on stage, I grabbed the tape I had used previously to lock the tripod down to my chair (hint) and rigged the remote microphone onto one of the nearby stage speakers. Duct tape was my friend that day. Call back to the mild surprise? Well, right after the last speaker left the stage, I took the MicroSD card out of the camera and experienced that sinking feeling you might feel right after dropping your car keys down a sewer grate. It didn’t work. There were no videos on the card. A bit panicked, I wandered around asking some of the organizers if they knew why there were no videos on the card. After a number of puzzled glances and sad farewells as folks were wondering off to the after party, I hit The Google. Within a few searches, I learned that videos taken on this particular camera are saved in AVCHD format; which is not directly readable on a Mac. With that, I packed up my stuff, drove home and went into geek-only-mode. Hours passed, with the after party raging on without me, I read blog after blog describing how to import videos from the video camera with little more to show for it than tired eyes and a craving for a few light beers. With a good nights sleep, and somewhat regrettably sans hangover, my sleeping brain had figured it out for me. Having been an Apple Macintosh support tech in a past life, it came to me that the 15 gigabyte (GB) AVCHD file was simply a file package. Duh! See, on a Mac, applications and packages are actually folders disguised to look like single files. So all one needs to do is left click on the file and choose “Show Package Contents”. From there is was a simple matter of dragging and dropping the .MTS video file into a separate directory for import into iMovie. Eureka! Well, Sunday, the last day of WordCamp came and went. Speakers did their presentations and between sessions I tried my best to mill about and chat with the folks I missed from the day before. All the while, I was thinking about how I was going to convert the videos and turn them into WordCamp.tv ready MP4 files. Then the real job started. Having never used iMovie before, it took about 4 hours to figure out how to edit and add the required beginning and ending slides in iMovie. I spent a lot of time with Alicia St Rose that night (and her presentation, Alicia St Rose: Wrangle the WordPress Template Hierarchy Like a Boss). 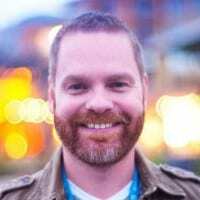 It turns out that each 30-minute video, which starts out at about 4 GB in size, takes roughly 2 hours of time commitment to edit, encode, compress and upload to the WordCamp.tv amazon web services (AWS) account. I managed to complete the editing and upload of between 2 to 3 videos a day to WordCamp.tv until all were uploaded by the end of that week. It was a slog, but I learned quite a few lessons I would like to share with you. – As a speaker, don’t walk all over the place or stand to one side of the stage if you wish to have an effectively recorded video presentation. – Put the most relevant parts of your discussion at the bottom 1/2 of your slide, otherwise, your slide content may not be picked up well by the camera. 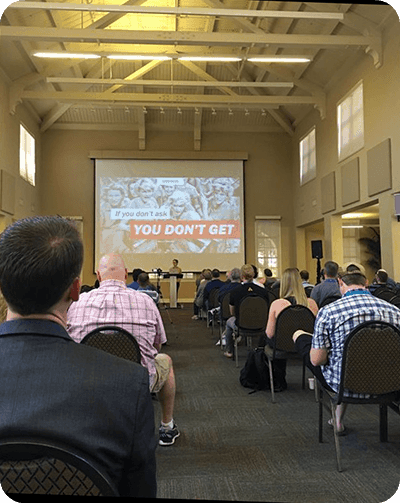 For an example of this done nicely, see the WordCamp SanDiego 2016 Carrie Dils presentation. – Repeat back questions before answering them, even if the person asking the question has a microphone. – Seek the camera person out before your presentation and ask them for pointers before starting, particularly if the camera person is doing the “5 minutes left” mark. – Write out a strong ending statement for your presentation (who am I, what was this about, thank you to…, etc.). – Place the camera high in the back of the room and zoom in to better catch both the speaker’s slides (and wandering speakers). – Assume the batteries provided with the camera kit are either used or dead. While a couple of extra batteries are included, I recommend having at least two newly purchased batteries in your pocket day-of-the-event. A very maddening lesson learned. – Try to do a microphone check before filming your first session by recording some video then listening to the video on your laptop. A video camera’s sound out headphone jack will not replicate what the final video will sound like (another big lesson learned).